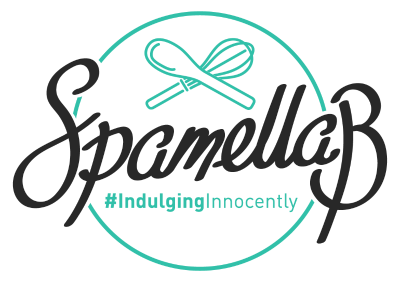 As I’ve built up my recipe portfolio it’s been a pleasure to have the opportunity to create and write for other health/fitness related brands too. This page is an archive highlighting these external projects, which have appeared both online and in print media, which I hope will continue to grow over time! 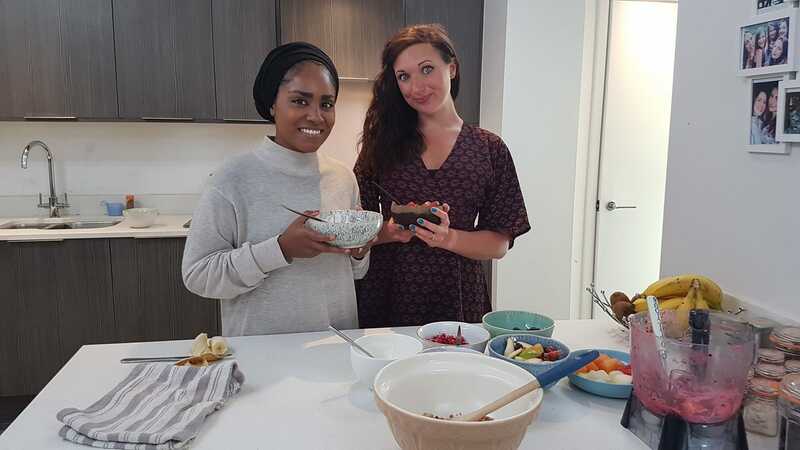 August 2018: I was chosen to feature alongside Great British Bake Off’s Nadiya on her new TV series, Nadiya’s Family Favourites, to cook up some healthy breakfast recipes for all the family. A fantastic experience on a personal and professional level. May 2017: I was delighted to be asked to produce a healthy summer dessert recipe especially for John Lewis featuring the Le Magimix blender. 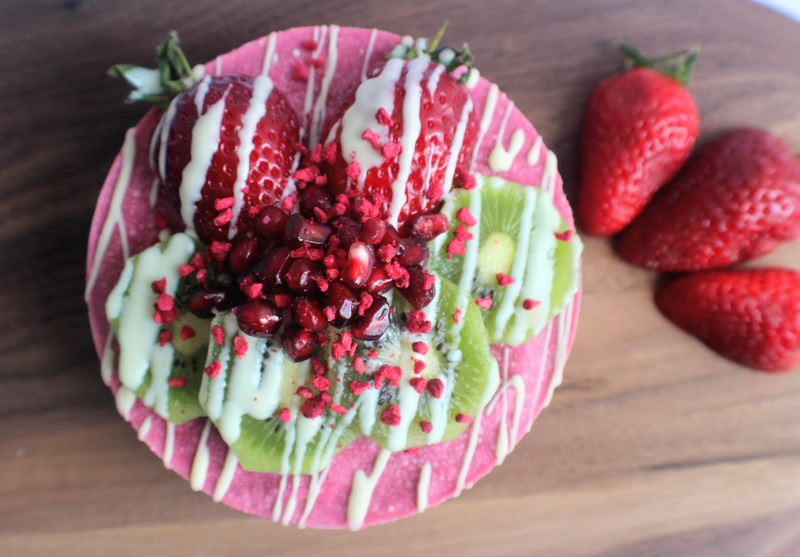 I went for a raw, vegan, gluten-free, dairy-free and no refined sugar Berrylicious Raw Cheesecake recipe which is not only simple to make but looks stunning too! 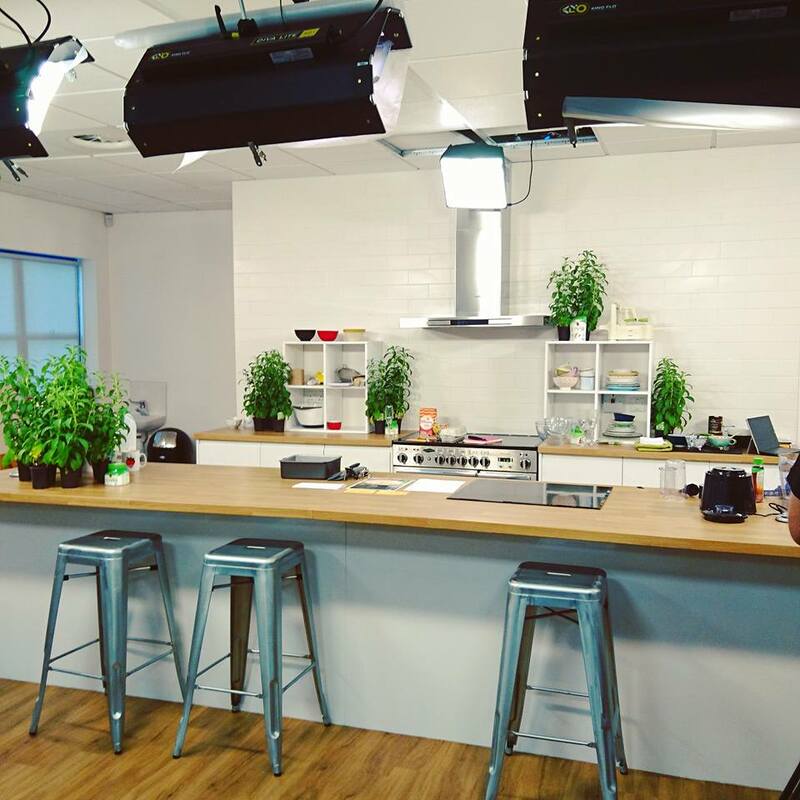 September 2016: I spent a day with my presenter friend Chyaz Samuel at Truvia HQ filming healthy recipes for the brand using their stevia products. Focused on different themes throughout the year, stay tuned for the videos being launched across the online world over the next few months! 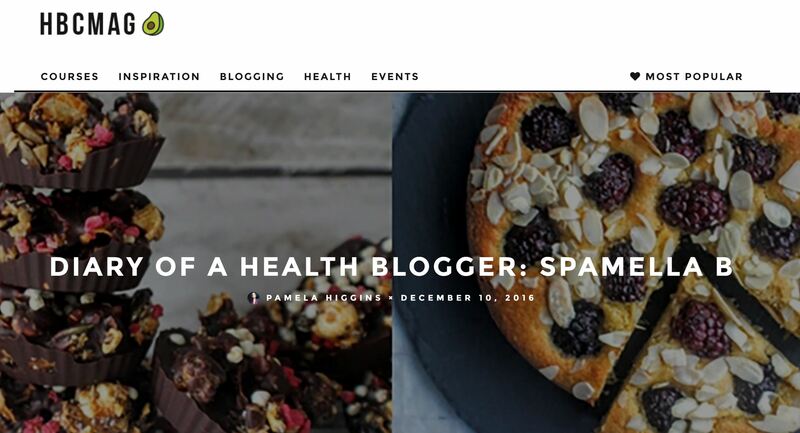 January 2017: The hub for all things vegan, food, recipes, inspiration, information…I am absolutely thrilled to have been selected as a recipe contributor to this fantastic site. 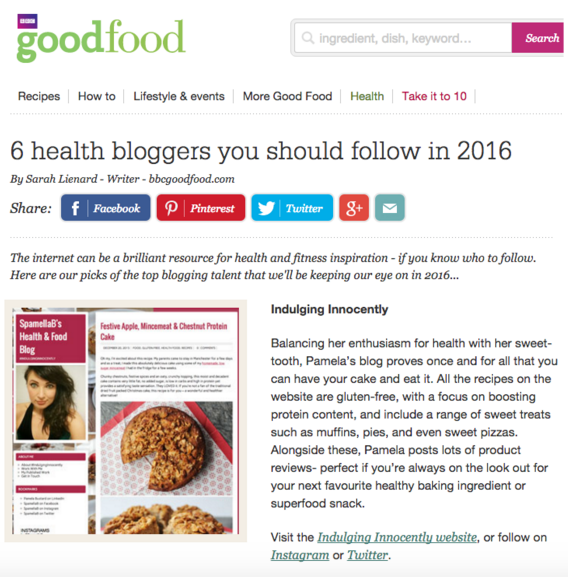 January 2016: I’m absolutely over the moon that BBC Good Food has selected me as one of their six health bloggers to follow this year. 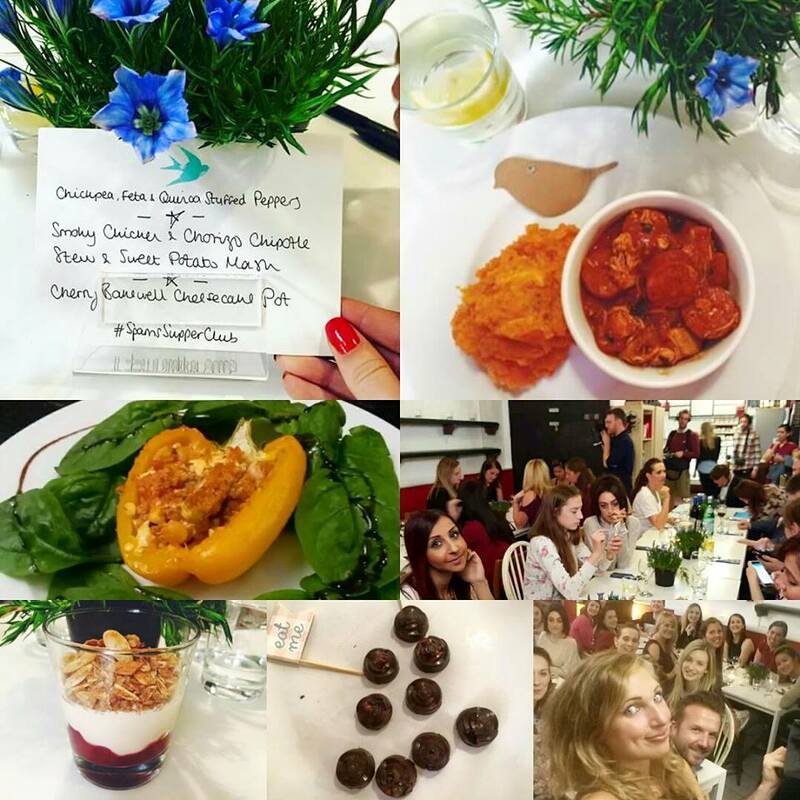 Alongside the likes of Deliciously Ella, Green Kitchen Stories and Chocolate Covered Katie – some of my biggest inspirations – I’m pretty overwhelmed. This means to the world to me to get this kind of recognition! 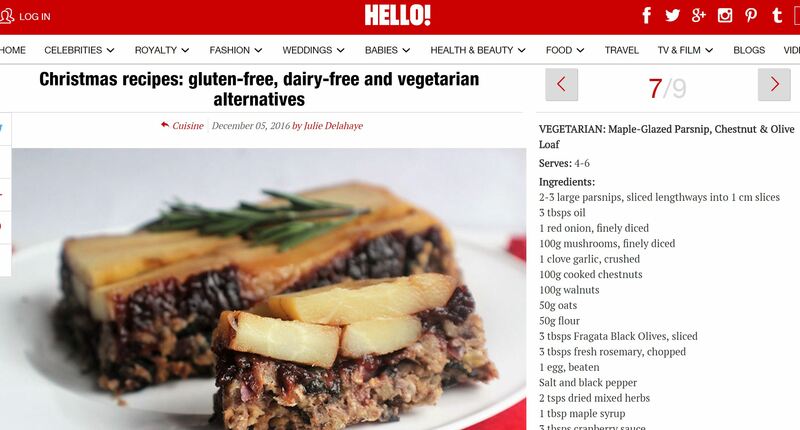 December 2016: As part of their ‘Christmas recipes: gluten-free, dairy-free and vegetarian alternatives’ feature, I was so delighted to see my healthy Maple-Glazed Parsnip, Chestnut & Olive Loaf recipe I made for Fragata included in the list! 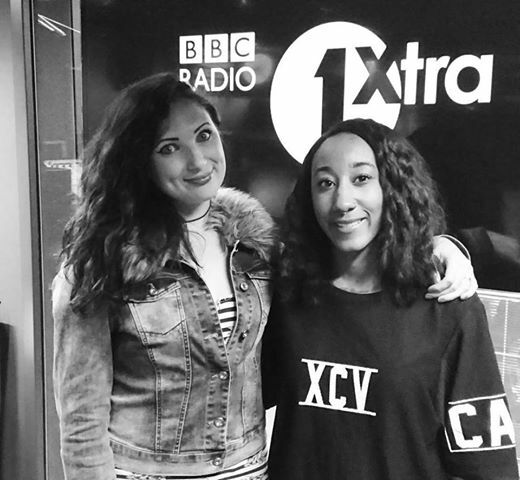 April 2016: I was invited to the BB studios in London to talk about my blogging and freelancing career as part of the #DIYGeneration series on BBC 1Xtra, hosted by Jamz Supernova: “Celebrating some of the best and innovative creative young people around the country who have turned an idea into a reality.” It was an honour to go on the show – read more and listen HERE. January 2017: I shared my top three healthy winter recipes over on the Prevent Breast Cancer blog to help encourage a healthy lifestyle and show that eating well doesn’t have to be boring or tasteless! 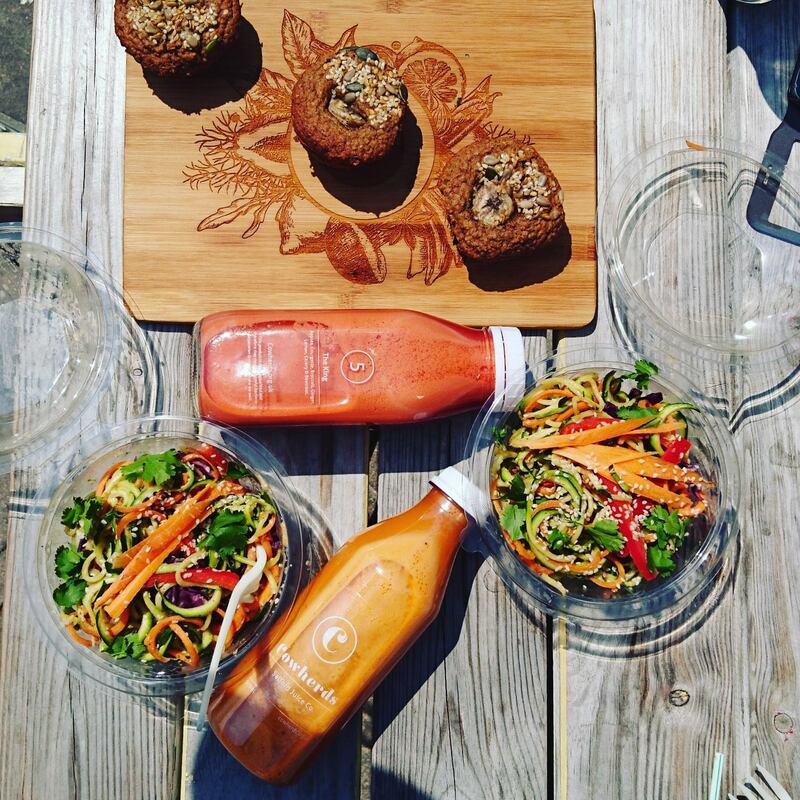 November 2016: It was a pleasure to write a guest post especially for fitness blogger, model and entrepreneur Zanna Van Dijk, focusing on a healthy guide to spending a day in Manchester: selecting my favourite food spots, places to get a sweat on indoors and outdoors, plus shops to pick up health and fitness goodies. May 2016: To coincide with the launch of their new GO! 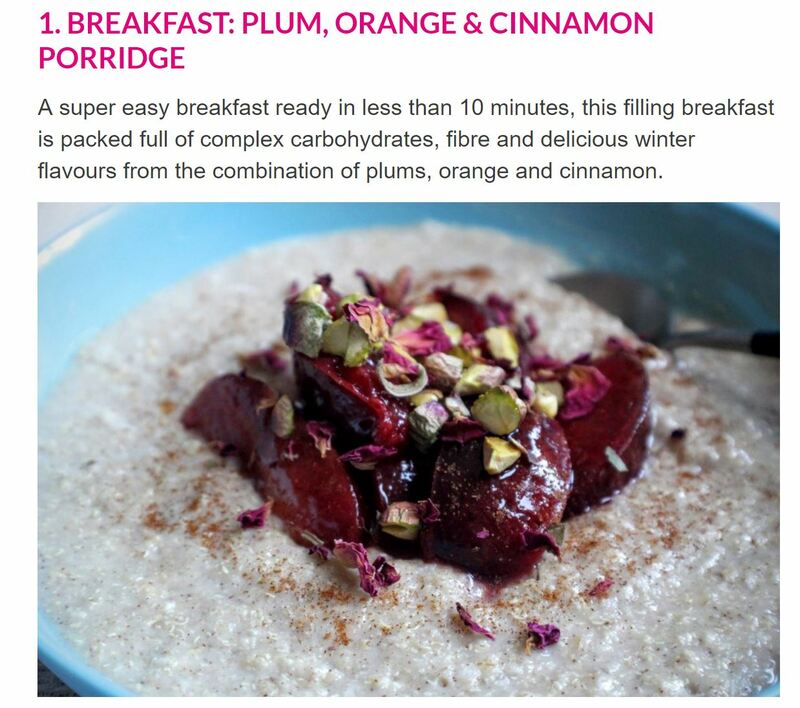 High Protein Porridge range, I spent some time over at the Mornflake Mill Kitchen where I developed some healthy breakfast recipes. 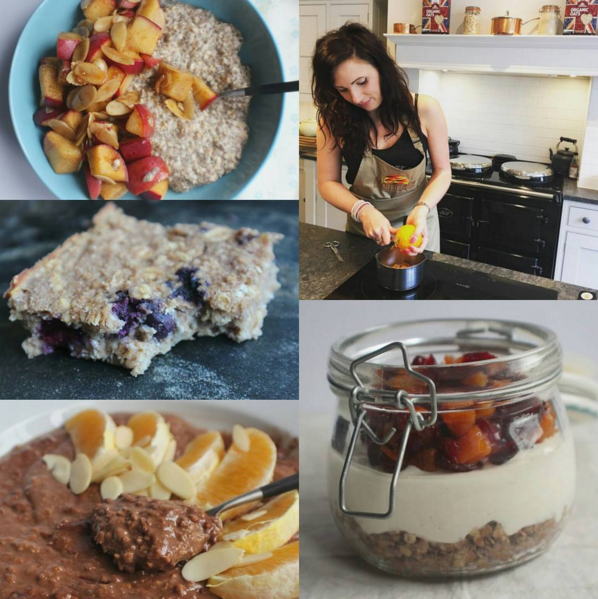 Find out why I love the new products, why I’m a huge fan of the oat brand and also check out my 4 exclusive breakfast recipes, which include: Blueberry & Banana Oat Protein Bars and Apricot, Cranberry + Orange Cheesecake Pot. On Friday 2nd October 2015, I hosted my very own supper club for the first time, cooking for a total of 22 paying guests, filmed for a 6-part series for All 4 (Channel 4’s on demand online service). 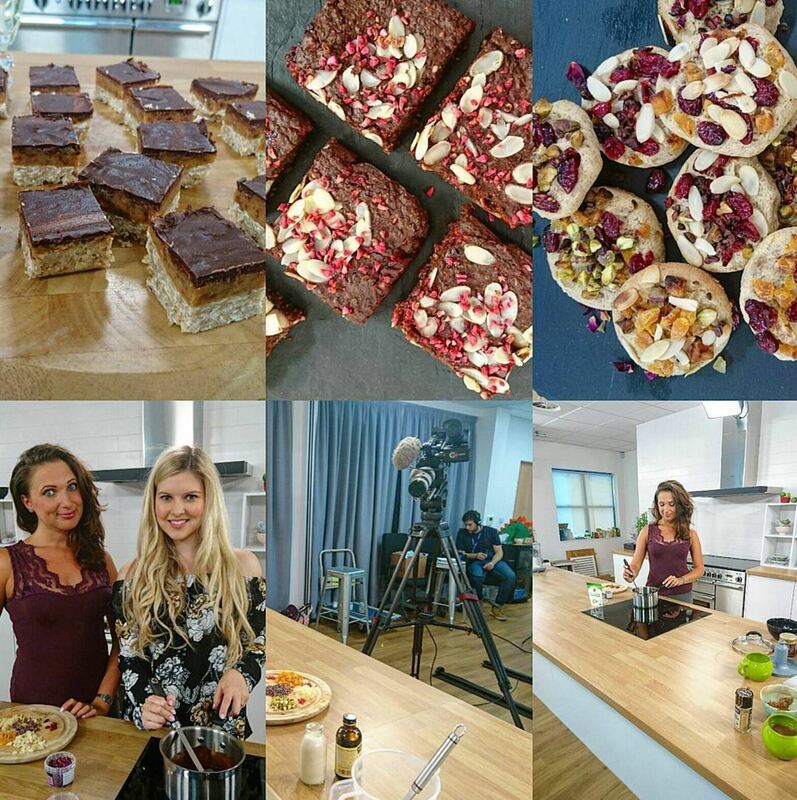 Presented by Alice Levine (BBC Radio 1) and Laura Jackson (TV presenter), the whole experience, from prepping, shopping, cooking and serving up, was so enjoyable and a challenge I successfully smashed! WATCH IT HERE! 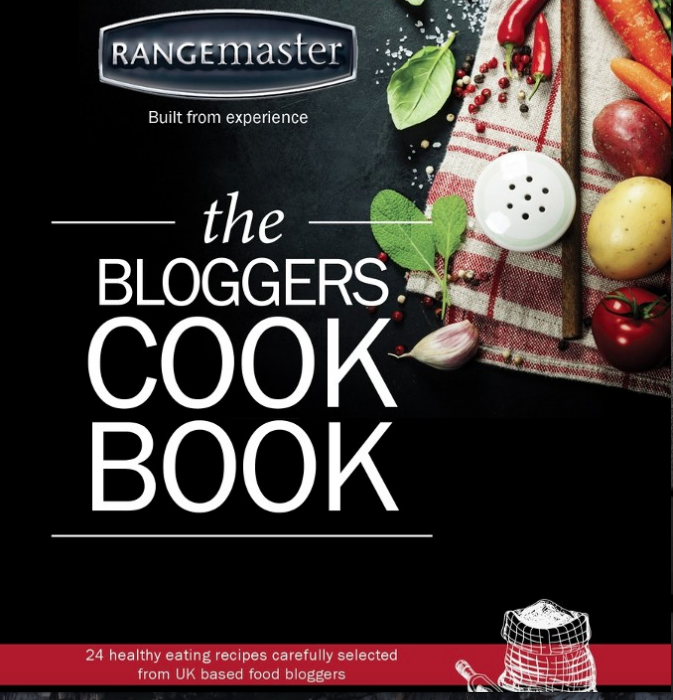 November 2015: I’m honoured to be one of selected UK food bloggers UK who were invited to contribute to a special Rangemaster bloggers cookbook. A collection of 24 mouthwateringly healthy main course dishes and desserts, it was great fun coming up wish two recipes which were both appealing and nutritious. Recipe creation is something I love so to be part of a project like this was a fantastic experience. 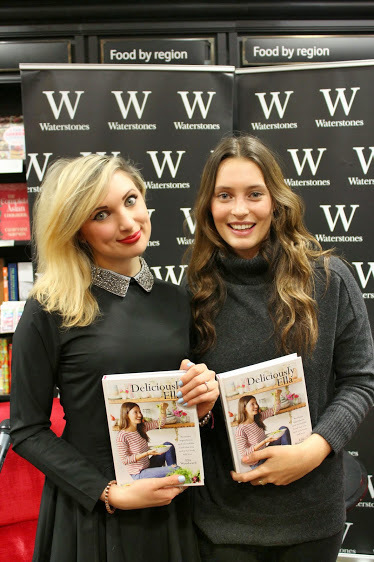 January 2015: I was thrilled to be invited to host a very special Q&A session at Deliciously Ella’s debut book launch at Waterstone’s Deansgate back in January 2014. With so much coverage surrounding her physical collection of beautiful, nutritious recipes, interviewing the inspiring health food writer in front of a crowd of 200 people was a special experience. 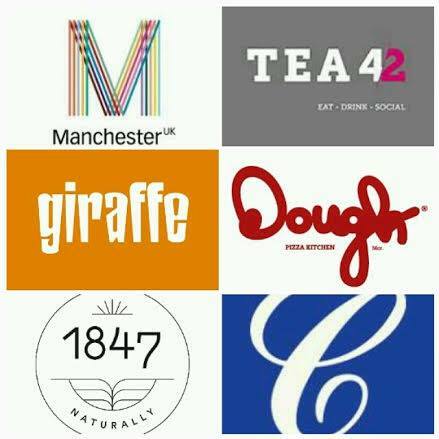 December 2015: When it comes to gluten-free offerings, we’re quite lucky in the city of Manchester. I love stumbling across new places or well-known restaurants that cater for being gluten or wheat intolerant, as it seems to become more recognised these days, if supermarkets shelves are anything to go by. Years ago it was a challenge to enjoy eating out; now we have a whole range of wonderful, creative dishes on offer. Being to asked to choose and write about my top 5 made me realise how fortunate we are in the city – and I could have included more! 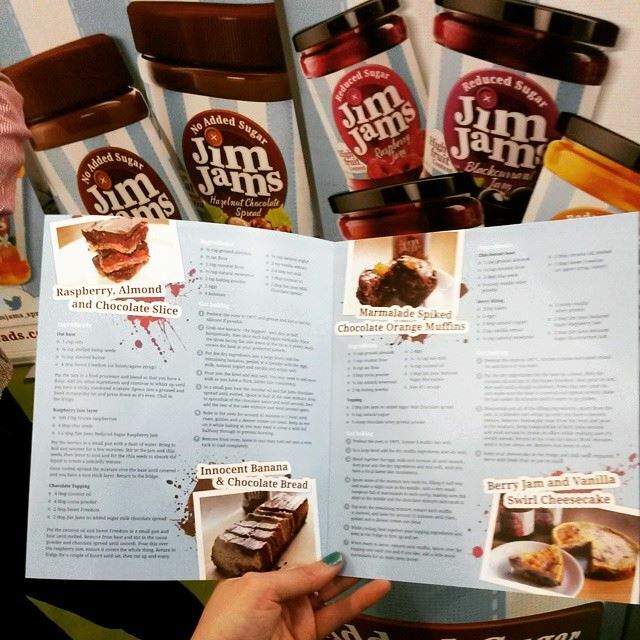 May 2015: It was a wonderful surprise when I popped over to see Jim Jam’s at the BBC’s Good Food Eat Well Show (2015) to find recipe booklets being handed out – with my creations in them! Although I published these recipes on my blog a few months previous using the reduced sugar jams and no added sugar chocolate spreads, nothing beats print materials. You may seem them – grab one if you can! If you’re a health food/fitness brand, site or publication, please get in touch with me by email, on Twitter or through my Facebook page – and let’s chat!